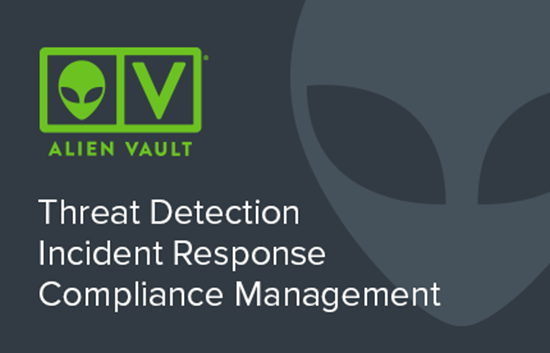 AlienVault USM Anywhere delivers unified threat detection, incident response, and compliance management capabilities in one easy-to-use platform. AlienVault is the only ConnectWise Manage Certified integration partner to deliver multiple security technologies in a unified solution: asset discovery, vulnerability assessment, intrusion detection (IDS), behavioral monitoring, SIEM, and log management, as well as continuous threat intelligence delivered automatically from the AlienVault Labs Security Research Team. 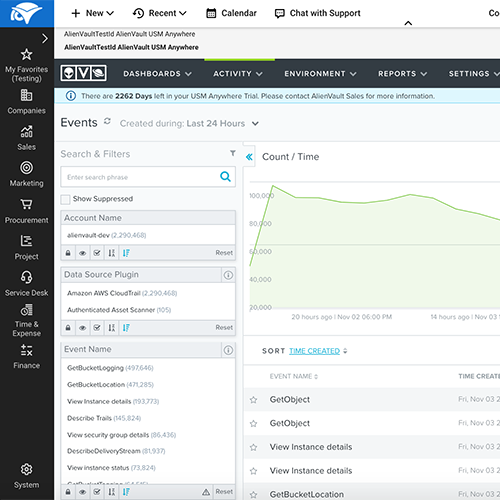 AlienVault’s unified approach to security monitoring alleviates the burden of having to purchase, integrate, and manage a myriad of point security products across your customers’ environments, saving you significant time and money. 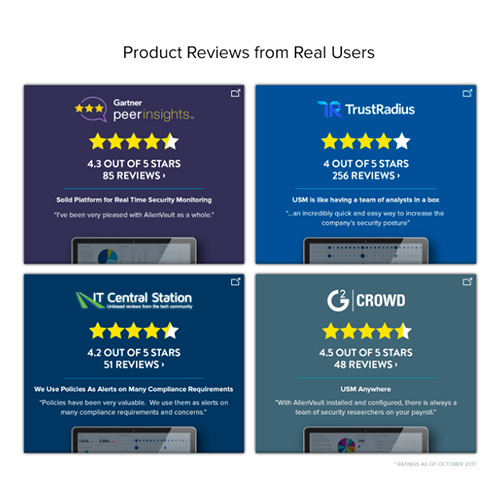 AlienVault is the champion of mid-size organizations that lack sufficient staff, security expertise, technology,  or budget to defend against modern threats. 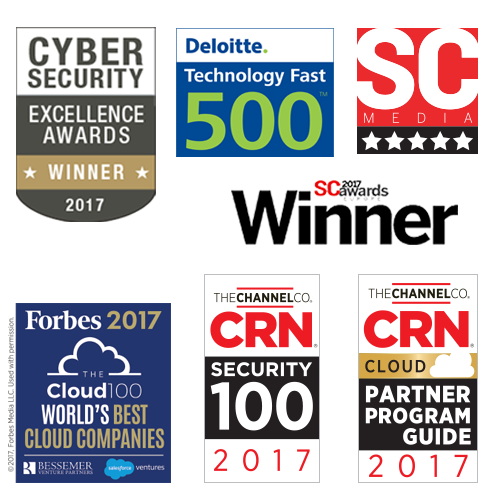 Our unique and award-winning approach to security monitoring is trusted by thousands of customers worldwide. 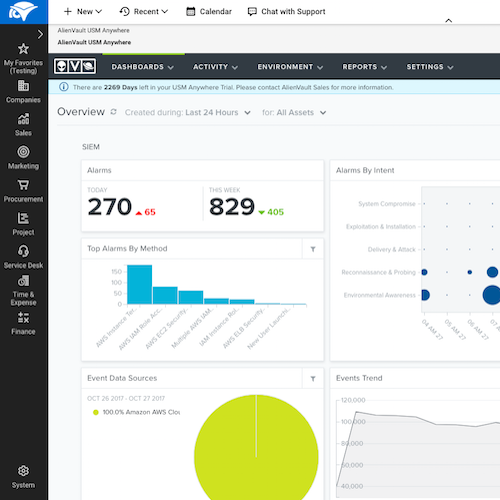 Get centralized security visibility of your customers’ USM Anywhere deployments directly from within the ConnectWise Manage portal. 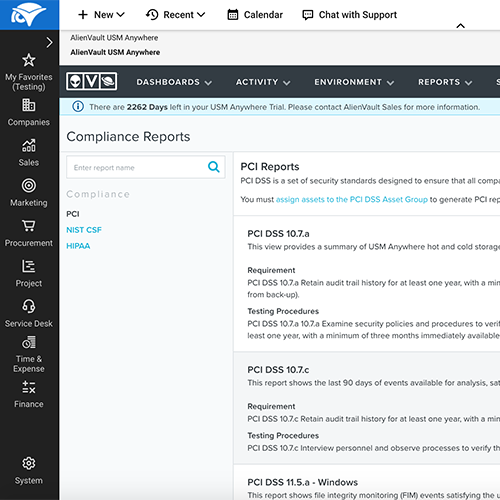 Configurations are updated automatically in ConnectWise Manage based on USM Anywhere’s continual asset scans of your customers’ monitored environments. Service tickets are created automatically in ConnectWise Manage based on security alarms are generated in USM Anywhere. Service tickets are created automatically in ConnectWise Manage based on vulnerabilities detected on monitored assets in USM Anywhere. AlienVault's ConnectWise Manage Integration is certified via the ConnectWise Invent Program. If you need assistance with creating API members or integration setup please send a note to Help@ConnectWise.com and the ConnectWise Manage support team can assist. For any other questions with this integration, please contact the AlienVault team directly to resolve any issues.